On today's episode of the Conspiracy Theories and Unpopular Culture podcast we begin our journey into the life of Marjorie Cameron! She was a prominent occult of the 20th century, artist, actress, feminist, and most importantly; the Scarlet Whore of Babylon! Thanks again for listening! If you want to support the show you can leave a review for the show on the iTunes or Stitcher feeds; this helps A TON and I've enjoyed reading all of them! 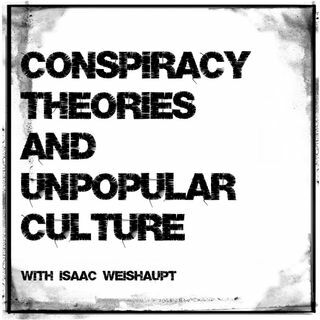 Isaac hosts the "Conspiracy Theories and Unpopular Culture" podcast (supported by the IW Patreons) as well as being the monthly Illuminati expert on BLACKOUT Radio. He has been a featured guest on Dave Navarro's "Dark Matter Radio," Richard C. Hoagland's "Other Side of Midnight", SIRIUS/XM's The All Out Show, The HigherSide Chats, Freeman Fly's "The Free Zone", Mark Devlin's "Good Vibrations", VICE, COMPLEX magazine, and many more radio shows and podcasts. His fresh perspective and openly admitted imperfections promotes the rational approach to exploring these taboo subjects and conspiracy theories.